When you need emergency locksmith Whitehall PA, you need the fastest locksmith in town. Not only we’re the fastest to response your call, but we’re also available day and night. We cover the entire Whitehall Township PA. This includes Fullerton in the south and Laury’s Station in the north. 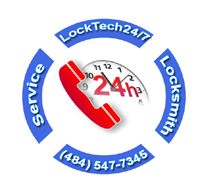 We, at LockTech24/7 can help with all type of emergency locksmith services in Whitehall PA. In addition, we arrive within minutes! Our emergency locksmiths in Whitehall PA:18052 are driving fully equipped work vans in order to finish the job in a fair time frame. Please read about our emergency locksmith Whitehall PA and see how we can help. Emergency locksmith Whitehall PA available at LockTech24/7 at all time. We’re working day and night, weekday, weekends, or holidays. However, we do not charge extra for emergency locksmith services, whether you call day or night, weekend or high-holiday. Furthermore, we’re located only 2-3 miles from Whitehall, so we can arrive quickly. With this in mind, we give to emergency locksmith service first priority. If you need emergency automotive locksmith service right now, you’ve just arrived at the right place. Emergency Car Lockout Whitehall PA – Our auto lockout specialists can easily open any auto door whether you drive a luxury car, van, or a pickup truck. Moreover, we provide other auto lockout services such as gas cap lockout or steering wheel lock opening. Emergency Trunk Unlocking Service in Whitehall PA – Trunk lockout situation can be very tricky. It must be remembered, the latch strike button doesn’t work in all cars when the ignition is locked. For instance: if you drive a BMW and you locked the keys in your trunk, the power unlocks button won’t open your trunk. Emergency Semi-Truck Door Unlock Whitehall PA – From time to time, we get a call of a truck driver who locked himself out of his 18 wheeler at Walmart on Macarthur Rd Whitehall PA. If this happens to you, don’t panic! We are only 3 miles away and we arrive within minutes to unlock your truck. Please call now! Camper Caravan Locked Out in Whitehall PA – Whitehall PA has many beautiful spots for parking on the Lehigh River. If you’re camping right now around Whitehall and need to unlock your RV or camper caravan, we’re ready to help. Emergency Broken Car Key Service in Whitehall PA – Breaking your car key is a scenario that happens in surprise and when you least expect. Keys can break out of wear and tear. If you need to extract a broken key, don’t hesitate to call us. Our key extraction service available 24 hours. Emergency Lost Car Key Replacement in Whitehall PA – Losing your only car key is not fun, yet, we can get you back on the road in no time. When you lose your transponder key, please call us. We can cut and program a new key to your vehicle at your location. Emergency Lost Key Fob Replacement in Whitehall PA – If your car key fob is lost or broken, we can replace it for you. We have the latest programming machine for almost all vehicle brands and models. It doesn’t matter if you need to program a keyless entry remote or a proximity key fob, we can help. Emergency Lost Key Fob Replacement in Whitehall PA – Sometimes, especially after your car battery died, your transponder car key can have the glitz and get out of programming. We can re-program your car key again so it can start your car again. Emergency Auto Ignition Repair Whitehall PA– When the ignition lock of your vehicle broke on you, it can ruin your day. Yet, you shall not panic. We provide fast ignition repair service in Whitehall PA. If you need emergency locksmith Whitehall PA, we’re the locksmith company to call. As for emergency residential locksmith service in Whitehall PA, we can help with all kind of emergency locksmith needs that comes on your way. Above all residential locksmith services, we give home lockout the first priority. When you call us to unlock the main door of your home, you ensure fast, efficient, and affordable emergency locksmith service. With this in mind, you can rest assured we can unlock any residential door for you. Emergency House Door Unlock in Whitehall PA – Call us when you lock yourself out of your home. We offer 15 minutes response time to Whitehall residents, no matter if you call us day or night. In addition, no matter if you have a Kwikset lock or Schlage lock on your doors. Emergency Apartment Door Unlock Whitehall PA – While usually, a house has at least 2 doors, the apartment has only one main door. This means there is no second option and we need to deal with the lock on your main door. Worry not! We can unlock any apartment door and any lock. Emergency Master Bedroom Lockout in Whitehall PA – You may know that you can be locked out of your bedroom like you can get locked out of your home. Even so, a quick phone call to our emergency locksmith Whitehall PA can get you back in your bedroom as short as 15 minutes. Emergency Home Safe Lockout Whitehall PA – Safebox or a lockbox are very common almost in every house. We intend to keep our valuable things locked and secured. For this reason, we can also get locked out of our safe, once in a while. Please call us if you need to unlock a safe, we are ready to assist you. Emergency Broken Lock Service Whitehall PA – Usually, when a lock break on you, you get locked out. In very rare occasions, a lock can break on you when you spend your time at home. In either case, whether you’re locked out of your house or in your house, we can help. We provide a 24/7 residential lock repair service in Whitehall PA. Emergency Broken Key Remove Whitehall PA – Extract your broken key with the best emergency locksmith Whitehall PA. We are fast, we’re experienced, we’re professional, and we’re affordable locksmiths in Whitehall Township. At the same time, we’re also available 24 hours a day. Emergency Patio Door Repair Whitehall PA – LockTech24/7 technicians provide patio door repair services. Starting with lock and mechanism to sliding door track and rollers, we can fix your door. Call us now and your patio door will slide again like a new. As a business owner, you want the best in security to protect your staff and your assets. Besides caring for the safety of your employees, you also want to protect your valued machines and tools. For this reason, you need to work with the best emergency commercial locksmith in Whitehall PA, LockTech24/7. 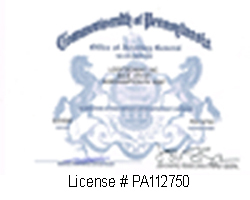 Our commercial locksmith Whitehall PA is mobile to take your call and drive to your business. With the intention to serve you fast, we usually arrive within fifteen minutes, so you can count on us. Emergency Office Door Unlock Whitehall PA – Not just emergency commercial lockout did by us can save your day, but also save you lots of money. Considering the time you’ve been locked out of your business, we can help you fast. Don’t hesitate to call us whenever you lock yourself out of your storefront, office or warehouse. Emergency Office Lock Repair Whitehall PA – A commercial lock, same as the residential lock can break without early notice. If this is the case with your lock, right now, please call us as soon as possible. We can easily repair your broken lock. Emergency Office Broken Key Removed Whitehall PA – Same as broken residential key service, we can extract the broken key out of a commercial lock. Please don’t try to do it yourself to avoid further damage to your lock. Instead, call us, we are ready for your call, all day – all night! Emergency Alarm Panic Bar Repair Whitehall PA– To repair an alarm panic bar is more complicated than repairing a push bar. Yet, LockTech24/7 commercial locksmith can do it, hassle-free!. Please call us whenever you need to repair or replace panic bar/push bar, either on the back door or the main door of your business.